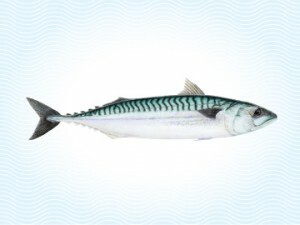 The Atlantic Mackerel is a fast swimming pelagic fish. Very high is omega3, vitamin A, vitamin B and it contains a high dose of Phosphatidylserine that can have a positive effect on ADHD and Alzheimer. The mackerel is pumped on board directly from the net into RSW refrigerated tanks to keep the freshness and maintain excellent quality. Then it’s graded and flash frozen whole round.